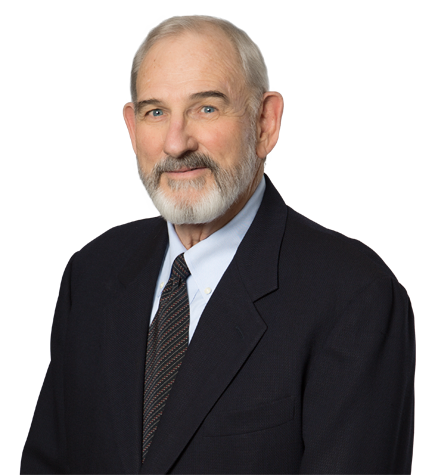 Milt Hyman’s practice focuses on complex tax and corporate matters. He specializes in business planning for corporations, limited liability companies and partnerships, handling major acquisitions and combinations, especially when there is a high tax component to the deal. He headed the teams responsible for the Thrifty-Payless drug stores and Kenneth Leventhal & Company-Ernst and Young combinations, as well as representing Broadcom Corporation in connection with many of its acquisitions. He also was responsible for the leveraged recapitalizations of Big 5 Sporting Goods, Consolidated Vision Group, Inc. and Penhall International, and the initial public offering of Big 5. Among other matters, Milt was heavily involved in structuring and implementing cable company acquisitions that ultimately resulted in Charter Communications, Inc. and in credit facility and public debt-related transactions for Charter. He also represented the Rams in their relocation to St. Louis, negotiating the principal agreements with the St. Louis governmental agencies and the sale of a minority ownership stake in the team. Milt also advised the former majority owner of the Rams in the sale of a controlling interest in the team. In addition to his business planning work, Milt has extensive experience handling tax controversies involving federal and state taxation. He has successfully resolved for his clients many tax controversies ranging in size from relatively small cases of less than one million dollars to those involving hundreds of millions of dollars of tax deficiencies and interest. These tax controversies include corporate and partnership tax matters, as well as California unitary taxation, residency disputes, and property and sales tax controversies. Milt has acted as special tax counsel to debtors in possession, creditors' committees, and major creditors in major corporate reorganizations under the Bankruptcy Act and the Bankruptcy Code. As tax counsel, he has been responsible for bankruptcy tax planning, as well as the resolution in a bankruptcy reorganization context of significant tax controversies with the IRS and other taxing authorities. Among the cases in which Milt has acted as tax counsel are GAC Corporation, Daylin, Inc., Wickes Companies, Inc., Storage Technology Corporation, Smith International, Apex Oil Company, Inc., JPS Textile Group, Inc., L.A. Gear, Inc., Martin Lawrence Limited Editions, Inc., Medieval Dinner & Tournament, Inc., Covad Communications Group, Inc., Circuit City Liquidating Trust and Wilshire Courtyard. He also represented Fresenius Medical Care Holdings, Inc. in connection with complex creditor tax matters involving the W.R. Grace & Co. bankruptcy proceedings. At Harvard Law School, Milt was a member of the board of editors for the Harvard Law Review. His note was cited by the Supreme Court: “But see.” As a result of receiving a Harvard University Sheldon Traveling Fellowship, Milt and his wife traveled around the world for an academic year after graduating and taking the California bar exam, before joining the Army General Counsel's Office in the Pentagon for three years. Milt and his wife of more than 50 years have two children. He loves reading, gardening, traveling, and visiting museums. Best of all, he loves spending time with his four grandchildren, as well as his daughter, a physician, and her spouse, and his son, a rabbi. Milt is a member of the advisory board for the UCLA Alan D. Leve Center for Jewish Studies and a past president of Sinai Temple. Milt is the co-editor of a treatise on bankruptcy tax matters, Collier on Bankruptcy Taxation, published in December 1992, and also published as Volume 16 ed. to the Collier on Bankruptcy treatise. He is also a contributor to and co-author of many tax publications, and is a frequent lecturer and panelist on issues of corporate and partnership taxation, including bankruptcy and insolvency tax matters, preservation and use of net operating losses and other tax attributes, and consolidated returns.